Before you tell me you don't know who the band The Script is or don't know what they sing listen to this b/c I am positive you have heard there song before (since it is played all the time on the radio)! So now that you know who they are let me share this with you. . . 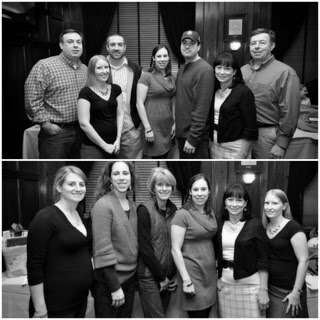 I saw them up close and personal on December 9, 2010 while at my Elon Alumni Holiday Party at The Landsdowne Pub! Our event had been scheduled MANY months ago. So when Mix called the bar to schedule their holiday event w/ The Script playing the bar still honored our event. I didn't know that this was happening so when I sat in an unusual amount of traffic for a week night I was pretty annoyed. Until I got inside and heard the news! I love The Script so I was pretty excited. Not only did we get to watch the show but we were literally inches from the band!!! It was really cool to see them in a small venue. They were very good live and we had a great time. We kept joking that this was the BEST alumni event EVER and that it was too bad for all of the alumni that didn't show up! Sometimes it helps to be in the right place at the right time. I'm not a lucky person and things like this just don't happen to me. I'm glad it did this time. It was a lot of fun. Just wish I had my camera w/ me. Thankfully the iPhone came in handy to capture the night. When Steph and I were driving down the coast of CA this past Oct we had A LOT of time for talking about random things. 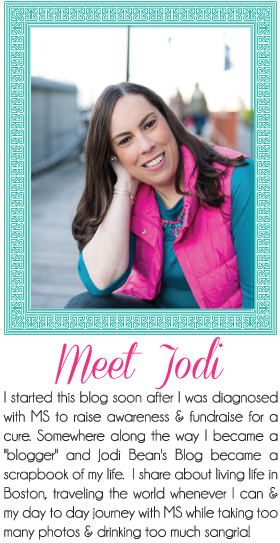 I started thinking about my bucket list after achieving something on it while in wine country and thought I would document it here on my blog. 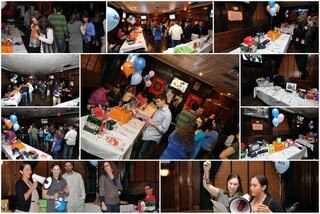 I can't believe I haven't posted these pictures yet from my fundraiser that was on November 12, 2010. Not sure how I forgot to do this but here we go. . . there are a lot of pictures so I put them into collages. 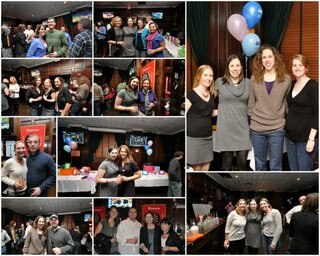 Special thanks to Tim and Anna Burns from Burns Pictures who graciously donated their time to take all the pictures at the event. They did a great job and I'm so thankful to them b/c they captured all the special moments of the night and I didn't have to worry about a thing. They also donated a free sitting including all the pictures on DVD and my friend Noelle "won" that. I know she is looking forward to using it soon. 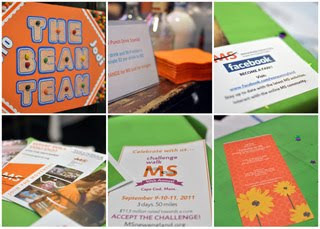 At the sign in table there was plenty of information about MS including how to sign up for the Boston Walk and the Challenge Walk! Guest made a donation to get in and then were entered into a raffle for a McFadden's gift certificate! There was plenty of food! 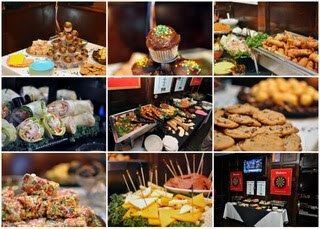 We enjoyed yummy appetizers from McFadden's and sweet desserts made by Kendall, Katelyn, Meghan, Jenn, Joana and my mom! Thanks guys! 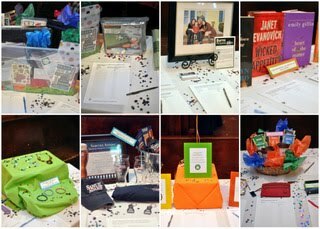 The silent auction was a big hit. There were so many different items that there really was something for everyone! People kept busy all night bidding for their favorite items. At the end of the Meghan Brewer and I announced the winners. We had a lot of happy people. Thanks to everyone who donated an item for the auction and thanks to all of you who bid on items. All the money raised has been donated toward my fundraising efforts for the Boston Walk. I was so thankful to all of my friends who came to the event. It was so nice to have so many people show up and give their support. It was such a fun night. I just wish it had been longer so I would have had time to chat w/ everyone more. Last but not least - special thanks to all of my family. I appreciate all of your continued support and your help to make my first ever fundraiser a huge success. And the fundraising has only just begun. Hopefully this is just the start of another very successful year of fundraising for The Bean Team. If you would like to make a donation to me please go here. Thank you! I love how people's Christmas trees can tell so much about them. Big or small, real or fake, traditional or modern, fancy or homemade. 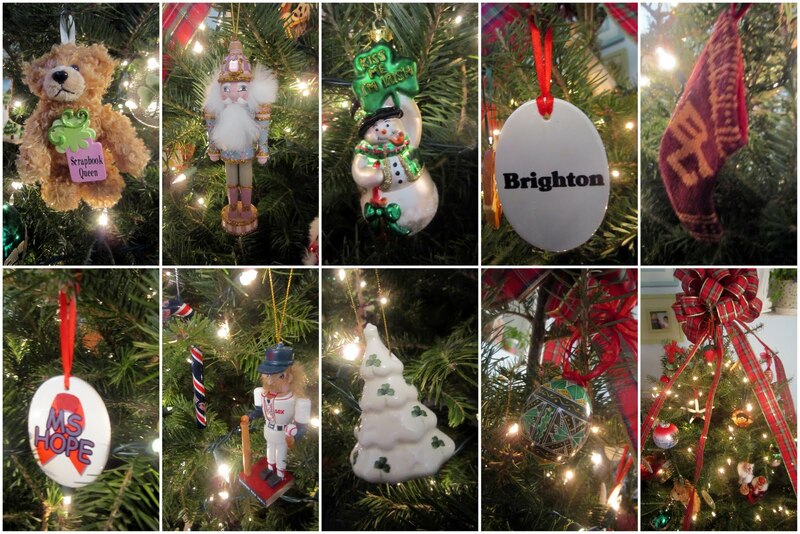 . . there are just so many options when it comes to your Christmas tree and the decorations you put on it. If someone who had never met me before took a look at my Christmas tree I think they could learn a lot about me. 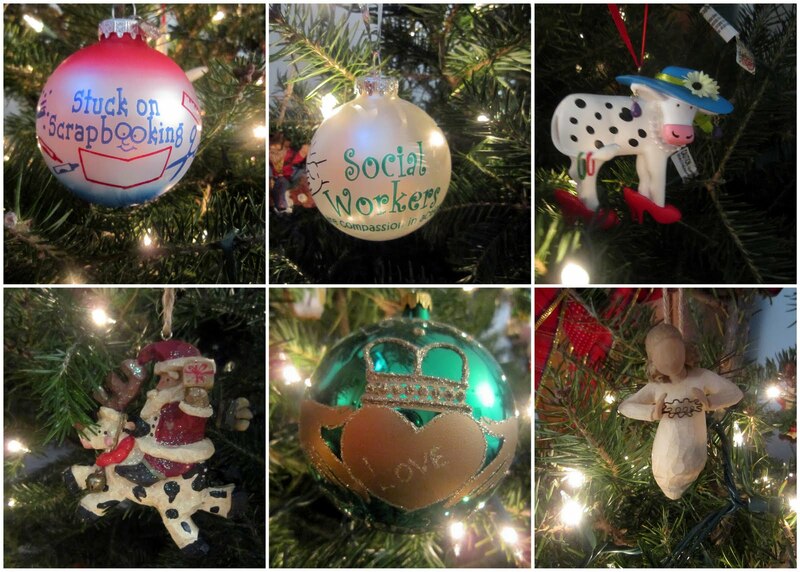 I have ornaments that should my hobbies, interests, travels, education, likes, career and so much more. I love how each year when I get out my ornaments they each bring back a memory or a story at I place them on my tree. I love having a real tree. Growing up I always had a fake tree and I still remember my first real tree once I was living on my own. This is the first time I've ever put my tree in my bedroom and I love it. I can look at it at night while I'm relaxing and watching tv. Even in my small apartment I still made it work. So happy to have a tree again this year (after taking a break last year since I had just had foot surgery). 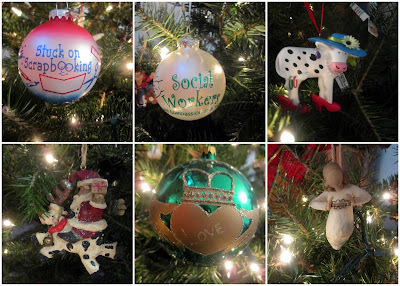 What does your tree say about you? I've always loved Christmas (what's not to love) but it is even better now that Peyton and Ella are in our family. It is so fun to watch them get excited about everything! This Christmas was definitely filled w/ chaos but I wouldn't have it any other way. The day was filled with opening presents, eating, opening more presents, more eating, drinking, laughing and FUN! I gave the girls a tent and tunnel. To say they loved it would be an understatement. After Peyton opened it she said, "Just what I wanted!" Haha! They must have gone through the tunnel 50 times! Grampy and Grammy gave the girls bongo drums and after opening them Peyton said, "I love bongo drums!" and proceeded to kiss them! My grandfather, Paul and Peyton's great grandfather sent the girls "Twas the Night Before Christmas" which he had read so they could play it and hear his voice. Peyton really liked it and he also included a picture of himself reading it! I also gave the girls a singing frog and monkey. Peyton had seen them in Target when we were shopping one day and loved them. I bought them that day w/o her seeing. When she opened it she said, "Hey I remember this from the store." Since Peyton was occupied w/ my iPhone Ella got to enjoy both of them. She loved watching them sing and dance. It was so cute! We had such a fun day together. So thankful for a happy and (mostly) healthy family! We are truly blessed! I wish I could have mailed everyone of you a Christmas card but since I couldn't here you go! P.S. I ran out of cards way sooner than I expected so if you didn't get this one I'm sorry. Next year I will estimate much better! Last weekend my friend Amber's husband and daughter came to MA from GA for a visit. Amber was unable to join them b/c she had to work. So Jim and Eva visited w/ Jim's family and w/ me (and I brought along Peyton to play w/ Eva). We started out in Worcester at "The Polar Express." It wasn't quite what I was expecting but it was cute and the kids seemed to like it. After the train ride we went inside to see Santa. Peyton and Eva waiting in line together for the big moment. Peyton wasn't so sure about seeing Santa even though she sat in his lap about a week earlier and talked to him. So we settled for a picture close by! Eva on the other hand had no problem at all talking to Santa. She gave him her list and told him everything she wanted. Quite the chatter box!! She even told Santa we were going back to the hotel to go in the hot tub (she was obsessed with the hot tub)!! Peyton had never seen an indoor pool before and was pretty excited. This past summer Peyton had become quite the swimmer. It only took her a few minutes to "warm up" and then she was off! The girls swam all around the pool and had so much fun. Peyton would have stayed in the pool ALL day. Eva on the other hand was a big fan of the hot tub. It was too hot for Peyton and I so we stuck to the pool. Peyton can swim all by herself and does such a good job! After swimming it was time to dry off and take a rest. The girls had to do everything the same! They were instant friends and it is too bad they don't live closer. Peyton had such a fun day. She was such a good girl and it was nice to have a special day w/ her. We missed Ella though. Next special day is going to be Ella and I! Amber we missed you too. Hope you can come to visit this summer!! Enjoying "holiday martinis" with friends. . . The lights that line my street. . .
Christmas cards in my mailbox everyday. . . Pretty dresses for Christmas parties. . . Celebrating at Christmas parties with my two favorite cuties. . .
And SO many other things that make the holiday season wonderful!!! !